LMU researchers have elucidated at the molecular level how an otherwise innocuous inherited mutation that is quite common in European populations interacts with a spontaneous somatic mutation to promote the development of Ewing’s sarcoma. Ewing‘s sarcoma is an aggressive bone cancer that occurs primarily in children, adolescents and young adults. The tumor cells are characterized by a single spontaneous ‘driver mutation’, which results in formation of the oncogenic fusion gene EWSR1-FLI1. Its protein product EWSR1-FLI1, which can act as a potent gene activator, is in turn essential for maintenance of the malignancy, but appears to be not fully sufficient for its induction. Interestingly, a genome-wide association study has detected inherited genetic variants at three different genomic loci that increase susceptibility to the disease. Now a collaborative effort involving the research group led by Dr. Thomas Grünewald (Head of the Laboratory for Pediatric Sarcoma Biology at LMU’s Institute of Pathology) and teams based at the Institut Curie in Paris and the National Cancer Institute in Bethesda (Maryland) has shown how one of these germline variants interacts with EWSR1-FLI1 to promote tumorigenesis. The significance of the study was recognized earlier this year when the work was presented at the German Sarcoma Conference 2015, where it has been awarded with the renowned International Research Prize. The findings have now been published in the journal Nature Genetics. Grünewald and his colleagues focused on a segment of the genome to which one of the susceptibility loci had previously been mapped. Using targeted deep sequencing techniques, they determined the sequence of this region in germline DNAs obtained from several hundred patients with Ewing’s sarcoma and a set of healthy controls. By analyzing the distribution of inherited genetic variation between the two groups, they were able to pinpoint variants that were correlated with the disease. They then employed epigenetic and functional assays to examine the effects of these risk variants on the growth of Ewing’s sarcoma cells in vitro and in vivo. Using this integrative approach, the researchers discovered that a specific germline susceptibility variant, which is significantly more prevalent in patients with Ewing’s sarcoma than in controls, plays an essential role in enabling the somatic driver mutation EWSR1-FLI1 (found only in the tumor cells) to enhance tumorigenesis. ‘Our work provides the first formal documentation of a direct and specific genetic interaction between a somatic driver mutation and a predisposing germline variant,’ Grünewald points out. The team localized the predisposing germline variant near a gene called EGR2. EGR2 is itself a transcription factor that is involved in regulating cell proliferation and is activated via signal pathways controlled by the growth factors EGF and FGF. Strikingly, EGR2 is essential not only for the development of neural stem cells, but also for that of bone progenitor cells, suggesting that it could play an active role in Ewing’s sarcoma. Moreover, the germline mutation lies in a regulatory element that controls the expression of EGR2, and subsequent experiments revealed why the combination of this mutation with the driver mutation EWSR1-FLI1 promotes tumorigenesis in Ewing’s sarcoma. These analyses showed that the susceptibility mutation creates a high-affinity site for binding of EWSR1-FLI1 to the EGR2 regulatory element. This in turn results in high-level activation of EGR2, which may restart an embryonic stem-cell proliferation program. This interplay between an inherited regulatory mutation and an oncogenic gene-fusion explains why the former increases risk for Ewing’s sarcoma and may exacerbate the disease. These findings also help explain why persons of European ancestry have a higher risk of developing Ewing’s sarcoma. With the aid of data obtained by the 1000 Genomes Project (which has now sequenced the genomes of several thousand individuals), the authors of the new study also looked at the distribution of the predisposing variant in different populations. 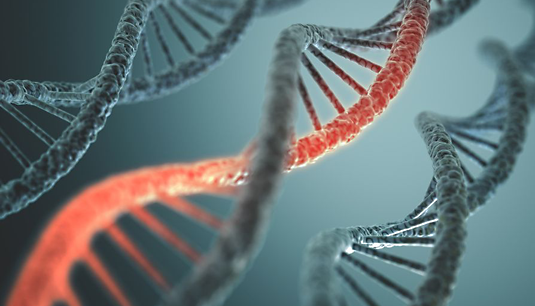 ‘About 80% of Europeans carry at least one copy of the variant allele in their germline DNA, while the mutation is very rare in African populations. The allele is, however, deleterious only when the driver mutation that creates the EWSR1-FLI1fusion gene spontaneously arises in a somatic cell. Fortunately, this liaison dangereuse is quite rare,’ says Grünewald. He and his colleagues are now looking for ways to translate the new results into effective therapies for the disease. They have already shown in cell cultures and in a mouse model system that blockade of the genetic program activated by EGR2 is sufficient to arrest tumor growth.